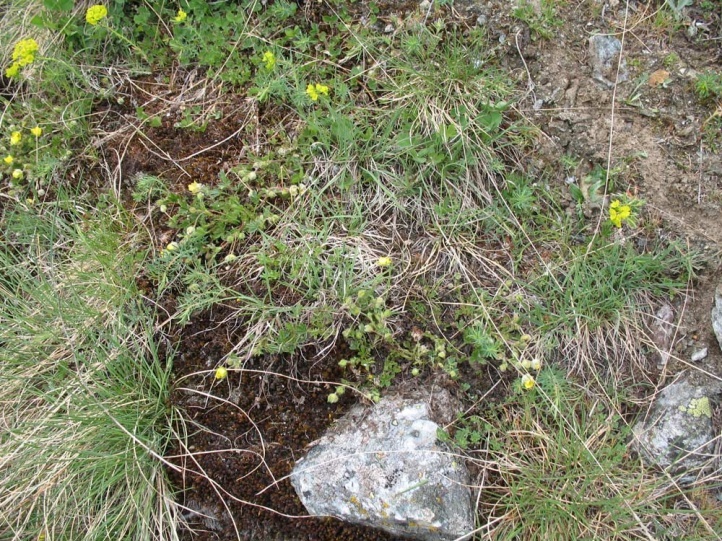 Potentilla pusilla, occasionally Potentilla grandiflora and at lower altitudes probably P. verna. 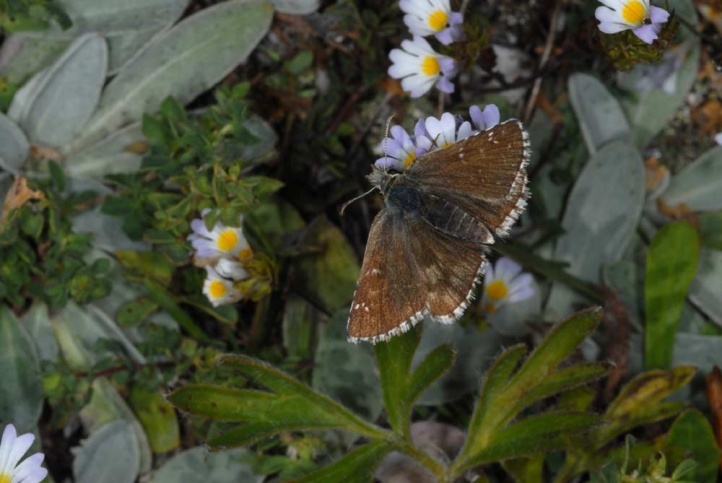 Pyrgus carlinae inhabits sun-exposed, stony and nutrient-poor slopes and mountain pastures of the southwestern and western Central Alps from the north-west Ticino on westwards above 1000m (rarely deeper) to about 2800m above sea level. 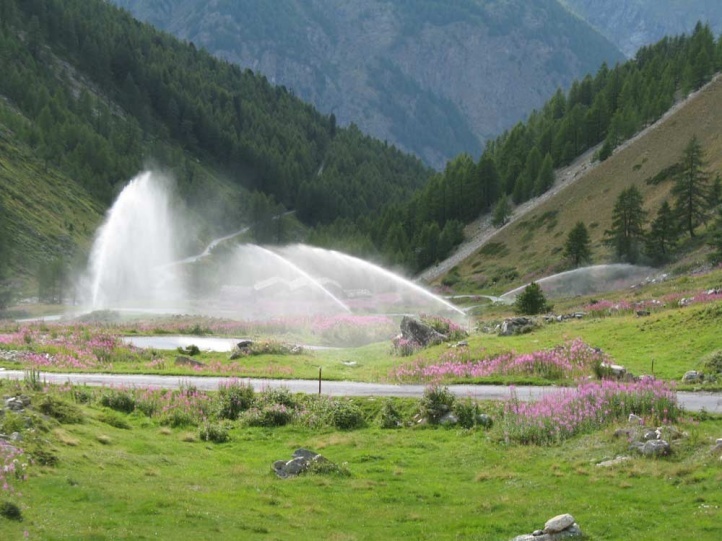 Most often it occurs around 2000m. 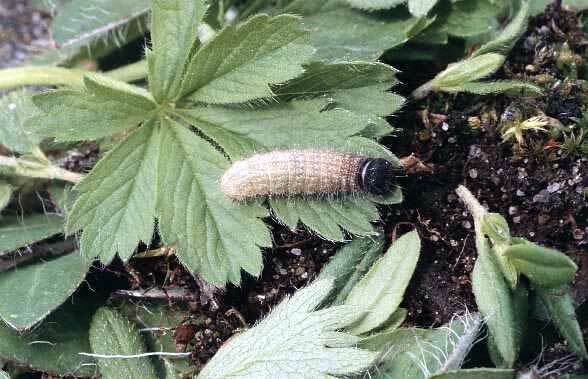 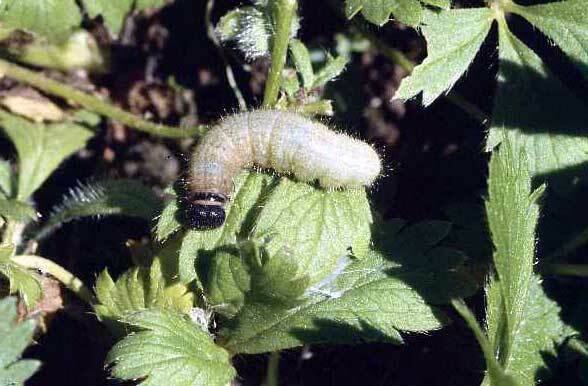 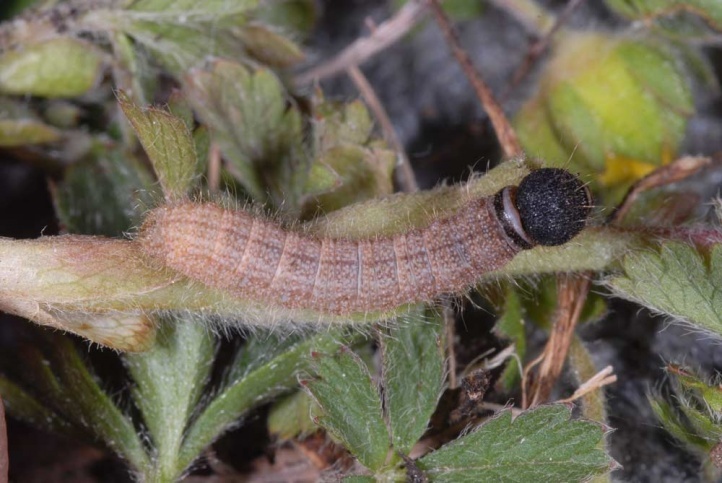 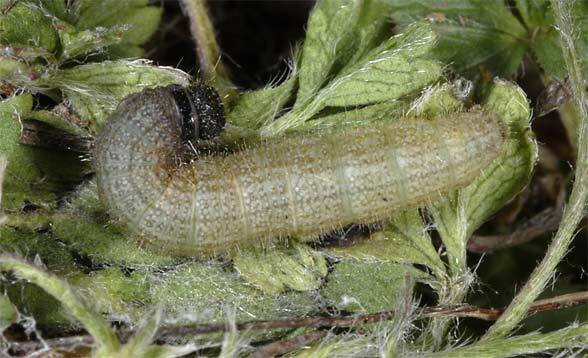 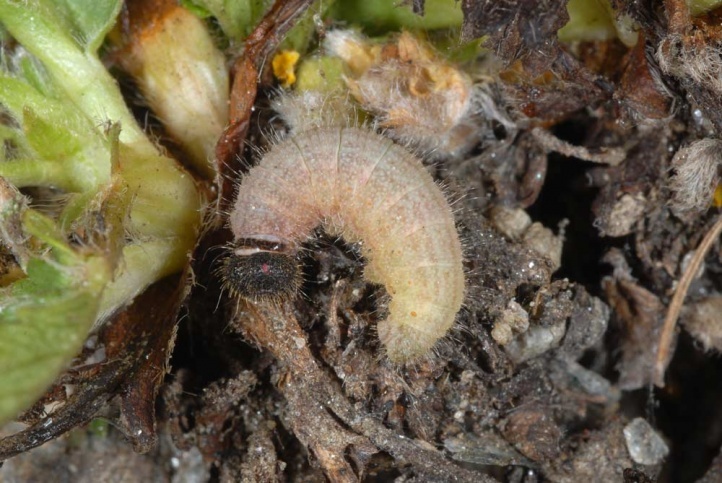 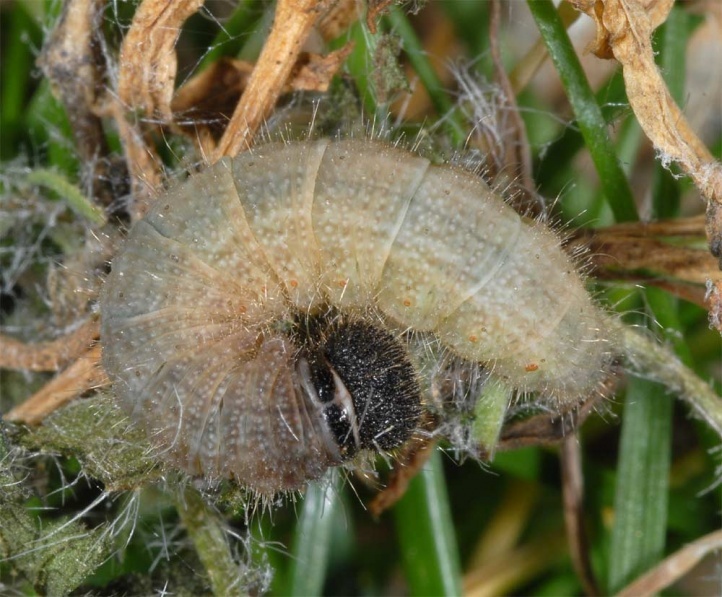 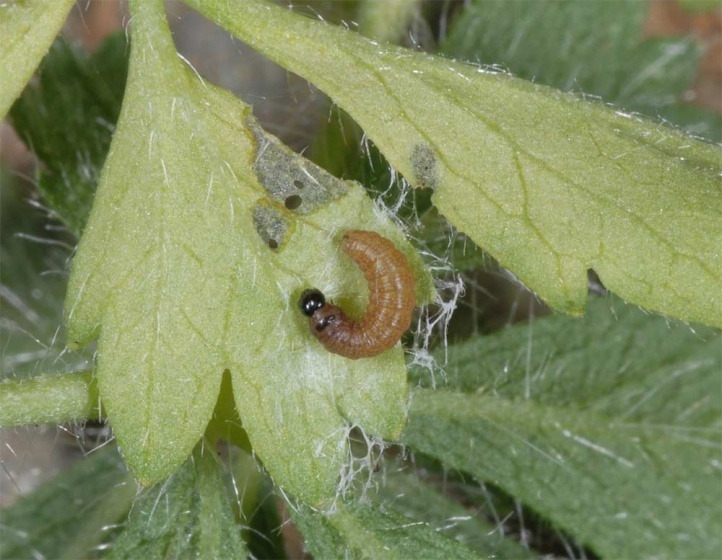 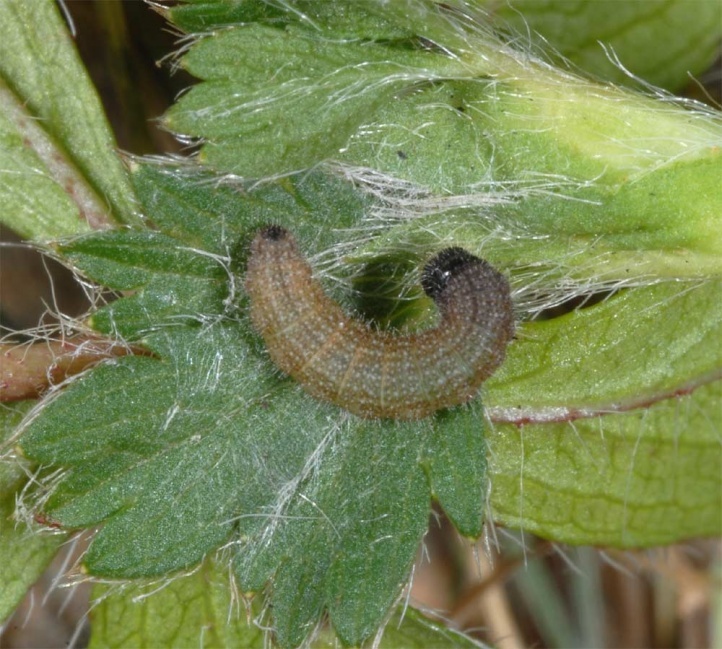 The caterpillars live only in places where the Potentilla plants grow on otherwise gappy soil without denser other vegetation (see Pyrgus cirsii). 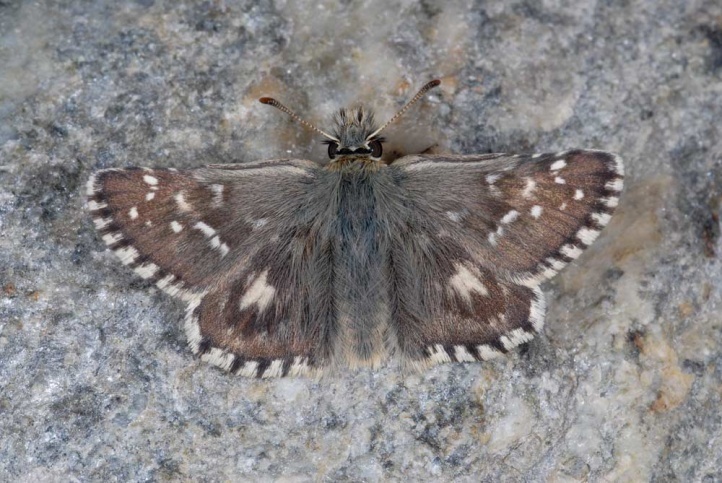 In contrast to the very closely related sister species Pyrgus cirsii, Pyrgus carlinae has a more rapid development, usually with only four moults (observed in the Valais in Mattertal). 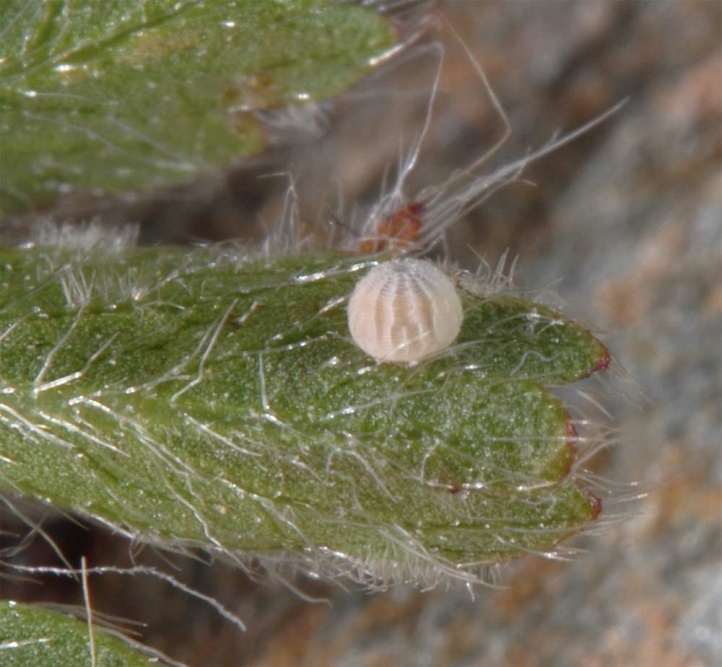 The slightly larger egg (comparatively to Pyrgus cirsii) is usually deposited on the underside of leaves. 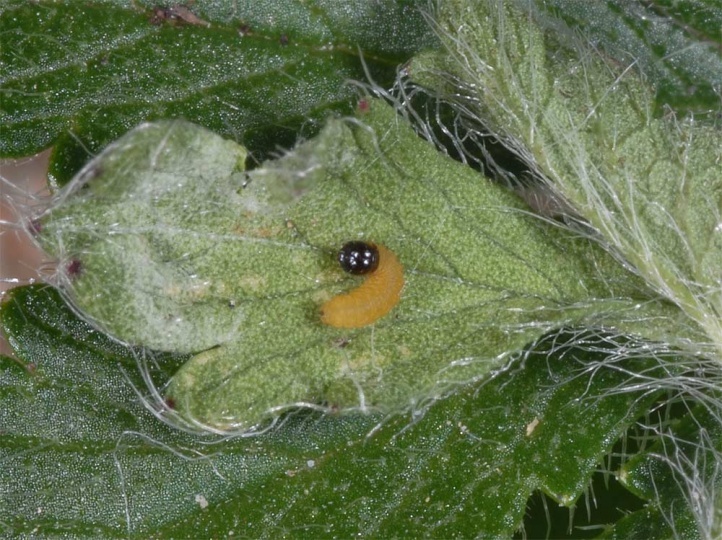 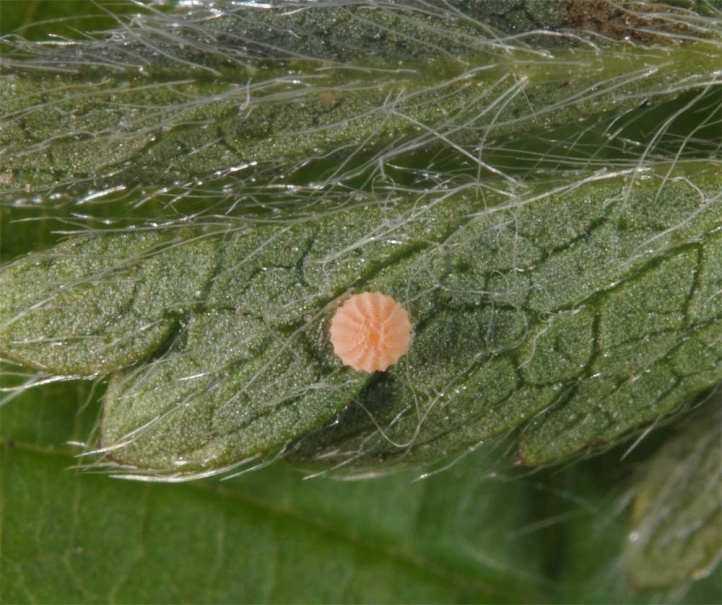 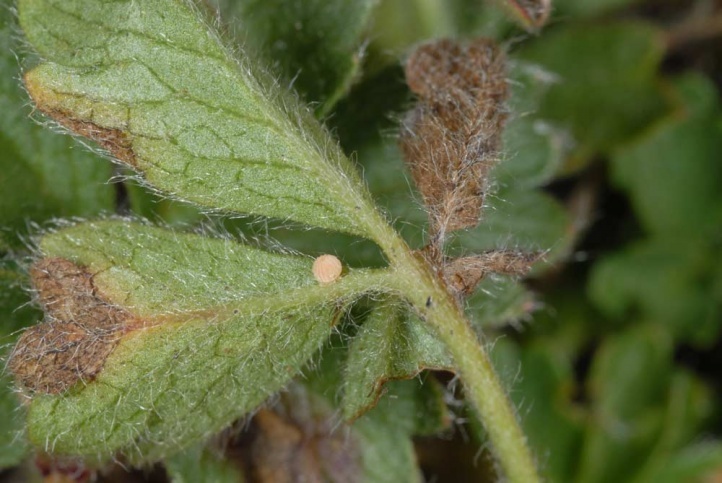 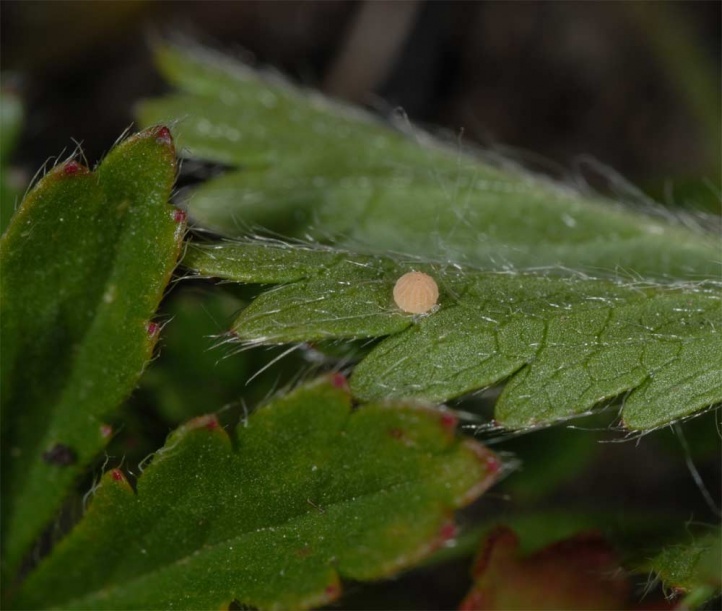 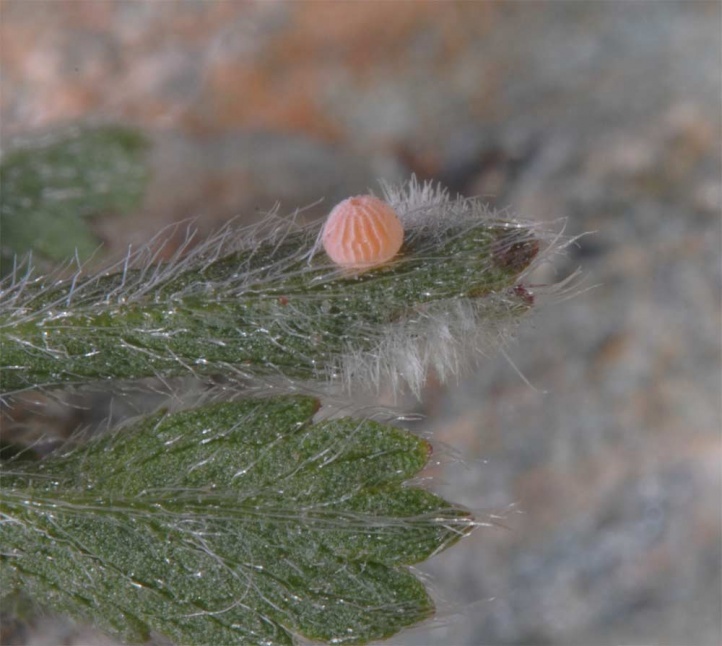 At favourable places you can often find several eggs per plant, resulting mostly from different oviposition flights. 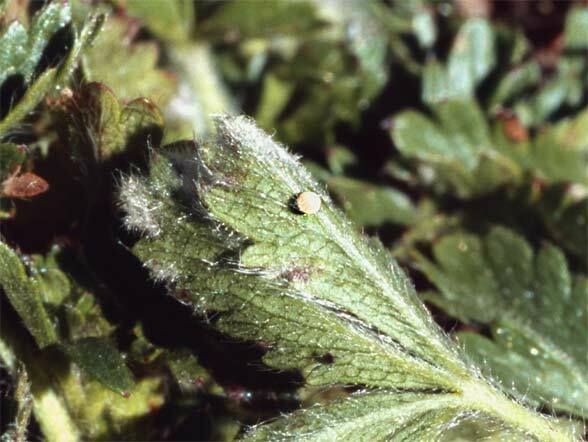 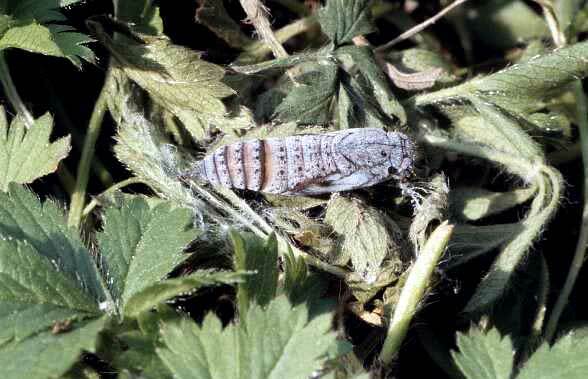 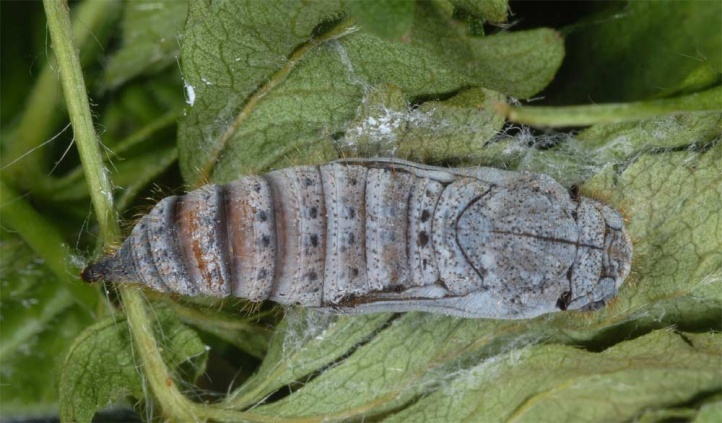 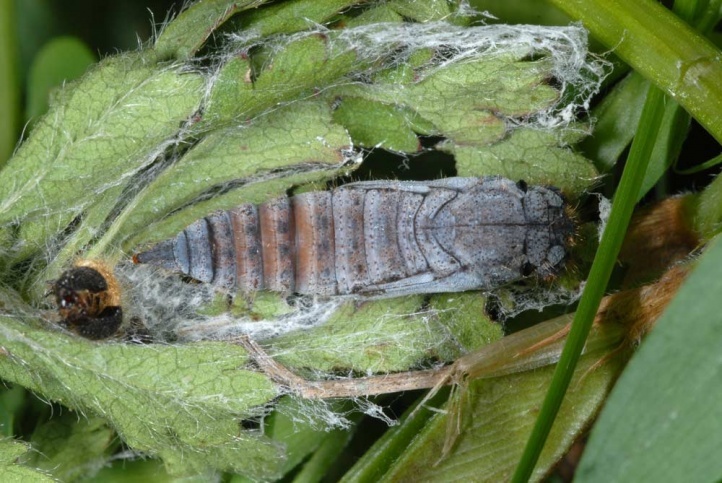 The caterpillar overwinters in the egg shell and developes from April to June. 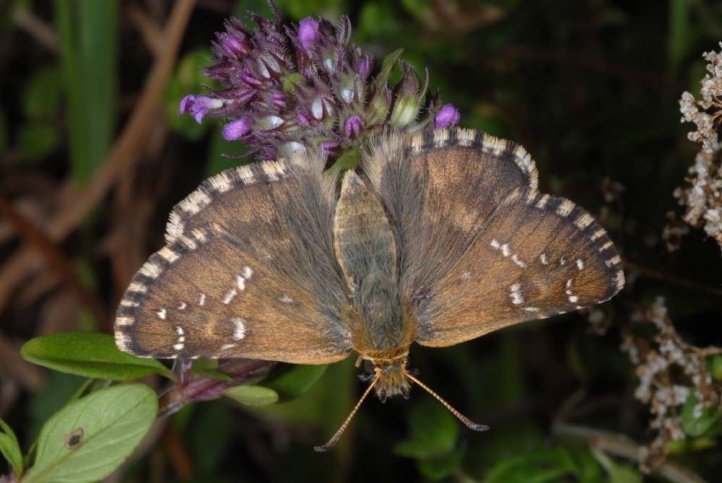 Butterflies are found from July to late August, rarely even early September. 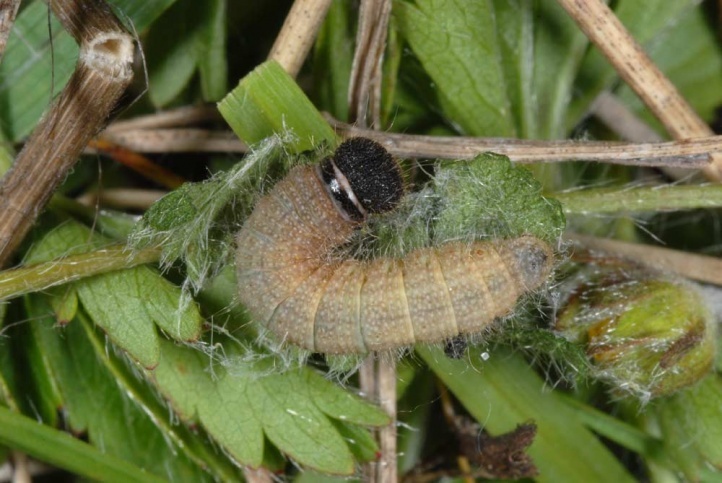 In breeding the caterpillars hatch, if the eggs are not kept cold (at least at night), in a warm room in the autumn and develop into a partial second generation, which does not occur in the field. 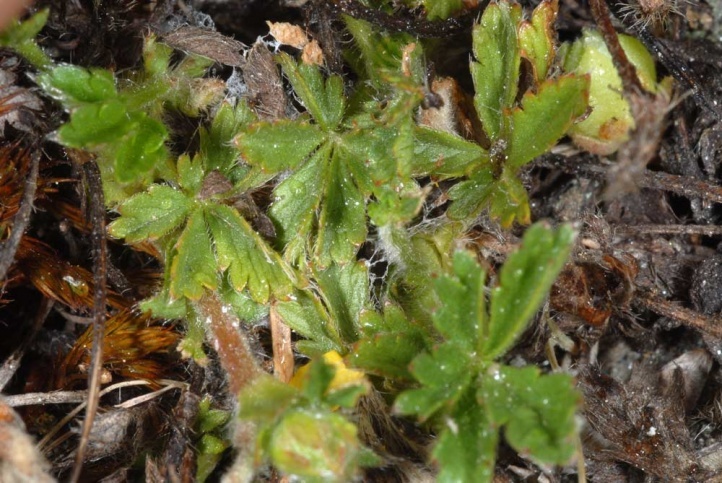 A number of high-alpine species have developed a pure temperature coupling with respect to dormancy. 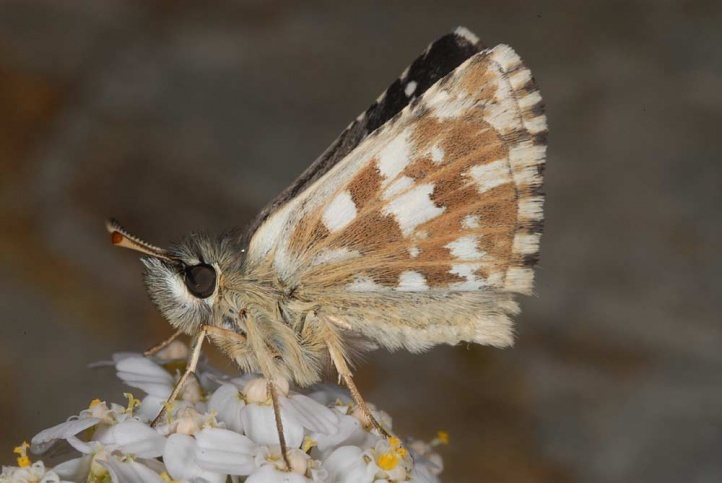 Species of the lowlands (Pyrgus cirsii) with higher autumn temperatures have a different strategy. 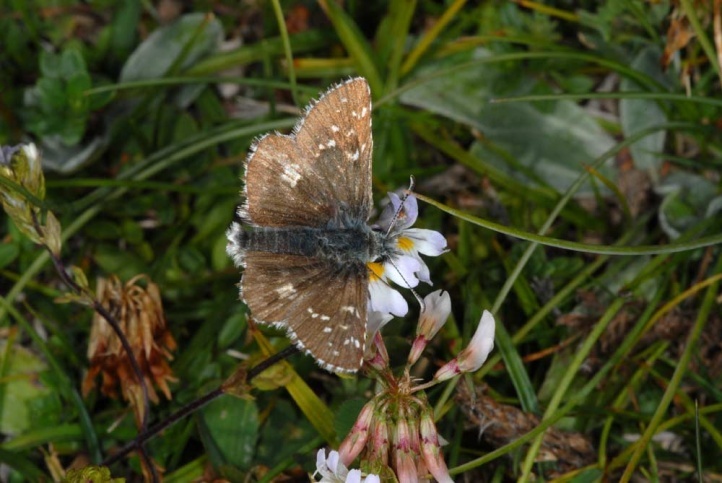 In the higher altitudes Pyrgus carlinae is endangered locally by tourism and intense grazing. 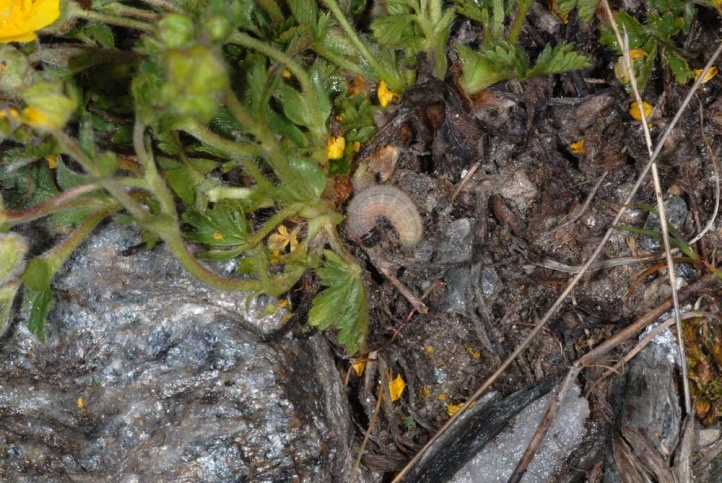 Unfortunately such an individual-rich locality on the Swiss Täschalpe (Valais) has been heavily decimated in recent years. 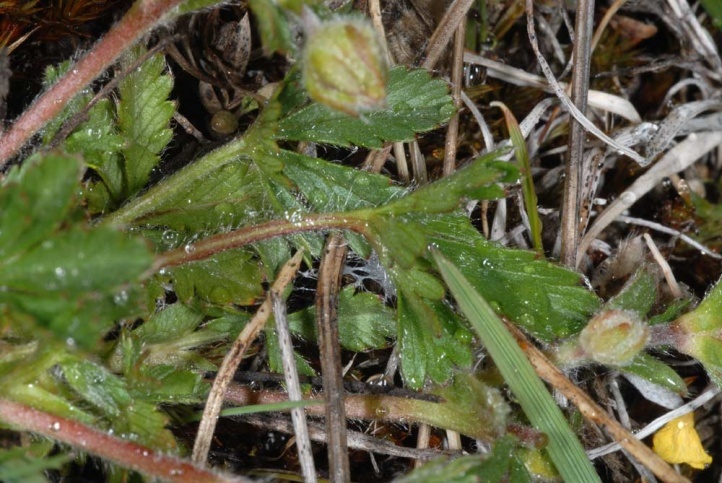 For construction of a protective dam parts of the habitat have been destroyed. 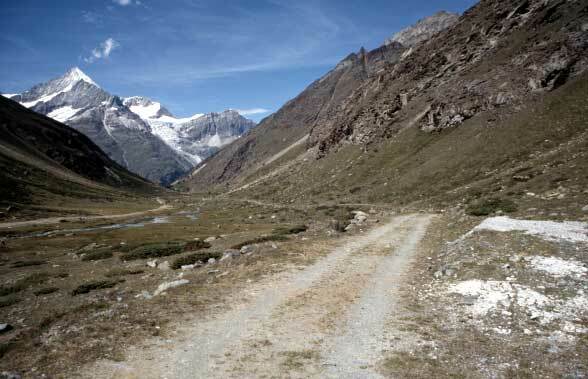 Other parts have been senselessly destructed by agricultural intensification at 2200m above sea level! 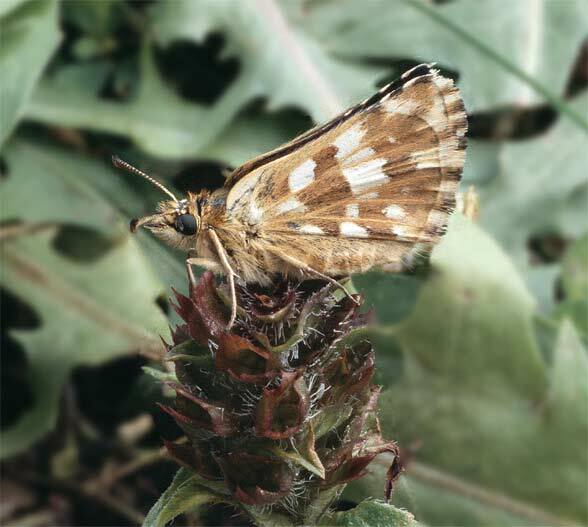 In spring 2007, an irrigation of the richest part of the caterpillar habitat was installed just below the houses on formerly nutrient-poor, dry areas, which has now changed the character of the vegetation with the result that the areas are no longer suitable for Pyrgus carlinae. 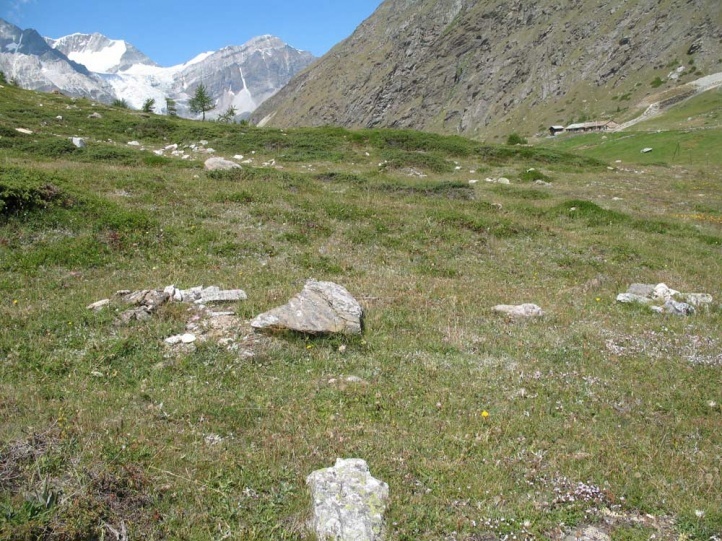 You can only hope that the adjacent, so far intact areas suffice for further survival in this valley. 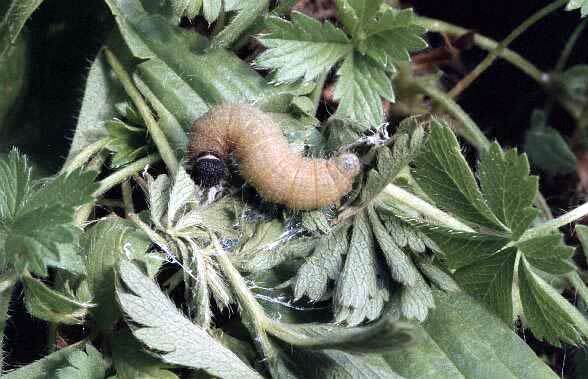 Unfortunately this is no single case. 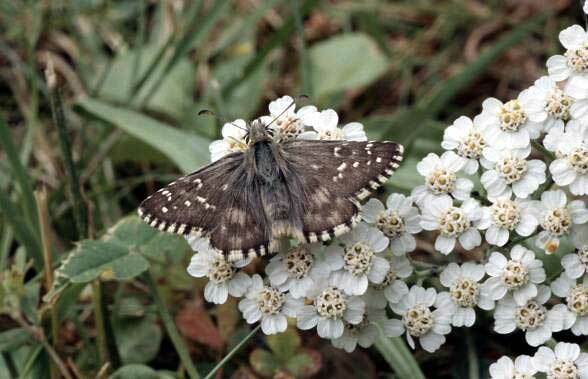 Pyrgus carlinae is endemic to the Southwestern Alps (France, Switzerland, NW-Italy). 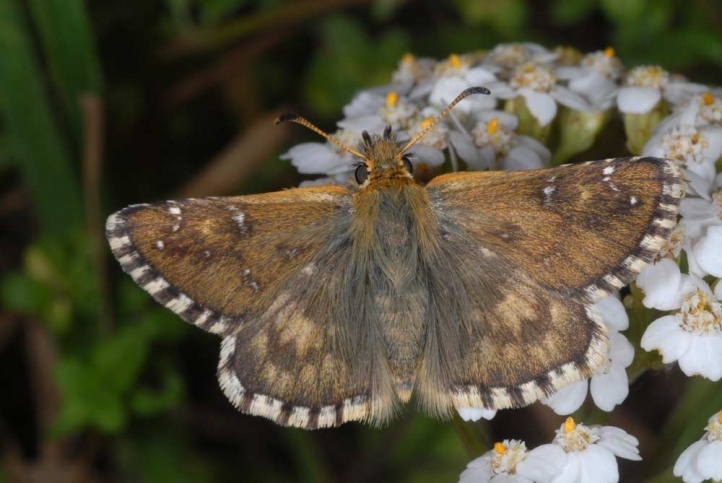 The females usually show a dense yellowish scaling of the wing upper sides. 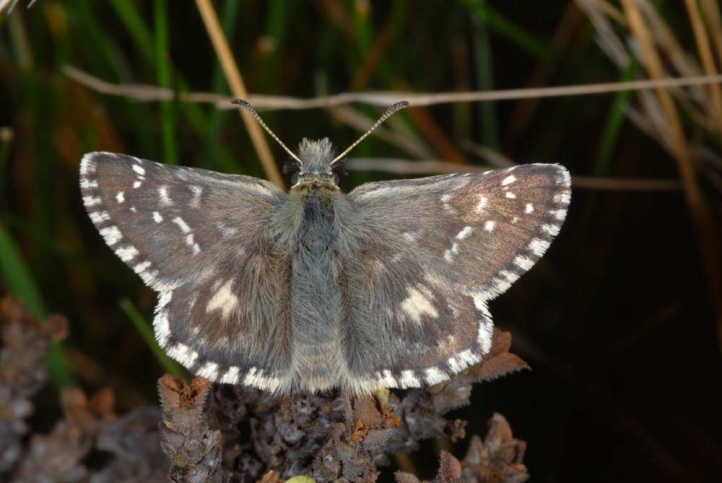 The white spots are often reduced on the forewing upper side. 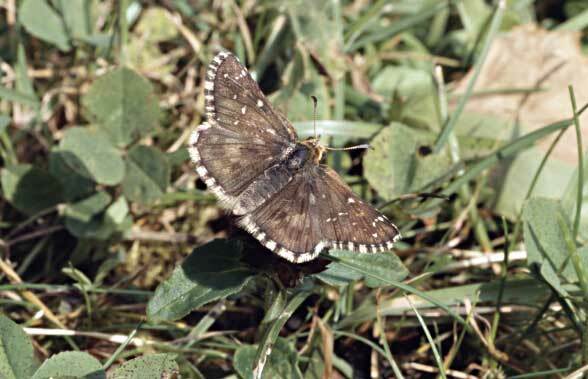 The males normally have larger spots there. 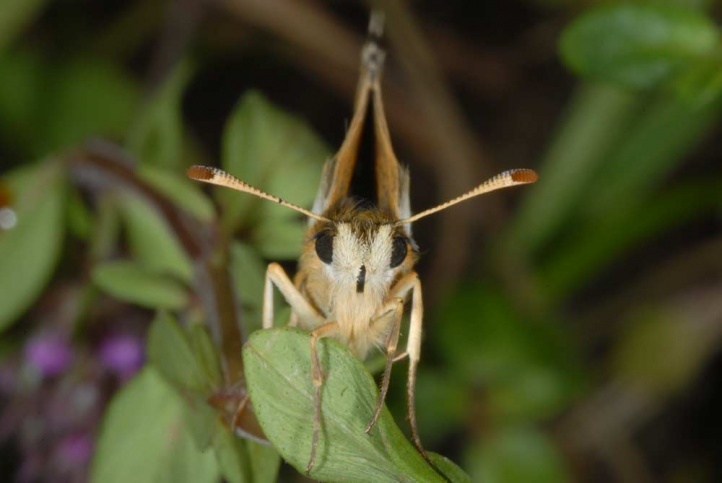 Additionally, they bear more distinct white spots on hindwing upper side. 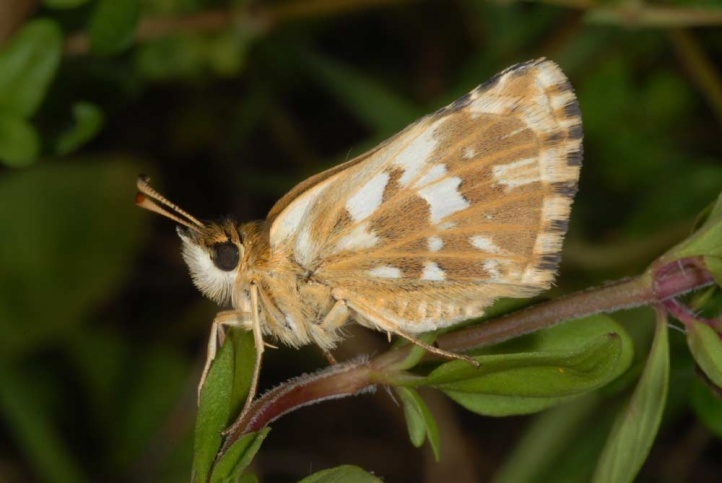 Without experience Pyrgus carlinae can be confused in its range especially with Pyrgus alveus.